Headache treatment Oakland is about the little known fact that jaw alignment therapy (dental orthopedic therapy) has been shown in many studies to be over 85% effective at eleminating headaches regardless of the type of headache. Most humans are born these days with the bite misaligned to some extent, that is why so many people need orthodontics or why such a large number have snoring/sleep apnea. Many people have jaws that are only slighly off, but enough to cause stress on the nerve which supplies the jaw posturing muslces and the pain nerves in the brain (i.e. the trigeminal nerve). The bite being off causes chronic elevated neural tone, thus increasing the systemic levels of the critical neuropeptides substance P and calcitonin gene related peptide. Researchers know very clearly what causes headaches, two neurotransmitters (acutally neuropeptides): substance P and calcitonin gene related peptide. The bite being off causes chronic elevated neural tone, thus increasing the systemic levels of the critical neuropeptides substance P and calcitonin gene related peptide. Jaw reposition therapy aligns the jaw and causes decreased neural tone, thus decreasing the systemic levels of the neuropeptides that cause headaches. Headache treatment Oakland is provided by Dr. Dwight Jennings. His office is located in Alameda near the Oakland Airport. He has been treating headaches in the Oakland area since 1986.
temporary, diagnostic position. After adjustments over a four to six month period of time, and after the new position has been shown to eliminate the headaches, permanent repositioning is considered. 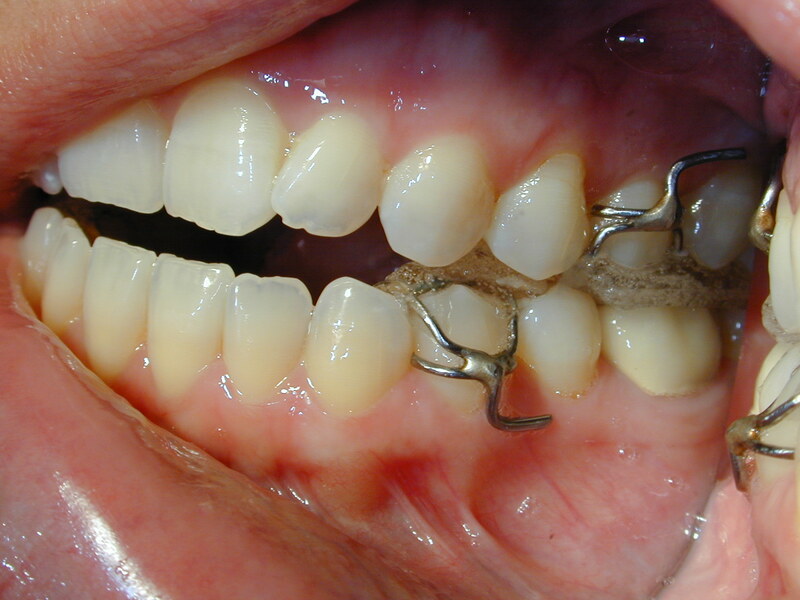 This is done through orthodontic treatment typically taking two to three years.